I just started wearing Bare Minerals in the summer of 2016. It was a product line I had been wanting to try, but I was so attached to the “compact foundation” I had been using for nearly 20 years, that I was comfortable, so I kept putting it off. In my early 20’s, I began using Clinique’s matte powder, and I absolutely loved it. I had a bit of trouble with my skin in my earlier days when I suffered from mild acne breakouts (you can read my review of X-Out vs. Proactive here if you too have a mild acne condition), and this foundation did a wonderful job at smoothing out my skin. No that I am a bit older, I was looking for something that was less obvious that I was wearing makeup, and I wanted my face to look more natural, yet have a slight “glow”. and of course the Bare Minerals makeup bag. 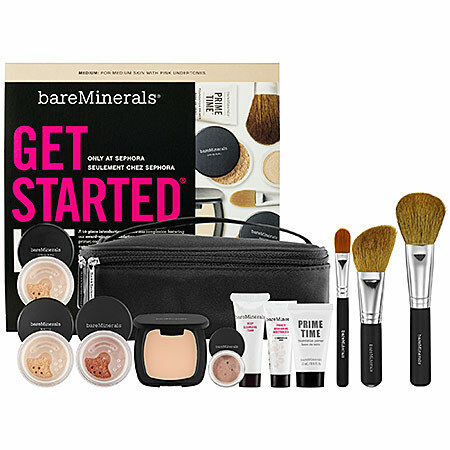 You can also read our post with detailed instructions on how to use your new Bare Minerals kit. I applied the matte foundation after applying the primer, but it certainly did not look “flawless”. It was hot, and I was going to my daughter’s soccer game. I looked in the mirror in the car, and it looked like I had liquid foundation on. Needless to say, I was disappointed, but I knew that I had done something wrong. I might add that it was the first time I had used primer under my foundation, so keep reading because this is important. When I got home, I did a little research, and I learned that after you apply your moisturizer, you have to let it dry completely before applying the primer, and then the same thing applies with the primer – let it dry! Only then do you put on the foundation. This foundation will last you approximately 3 months depending on how often you use it. I just replaced mine this week (December 15, 2016). 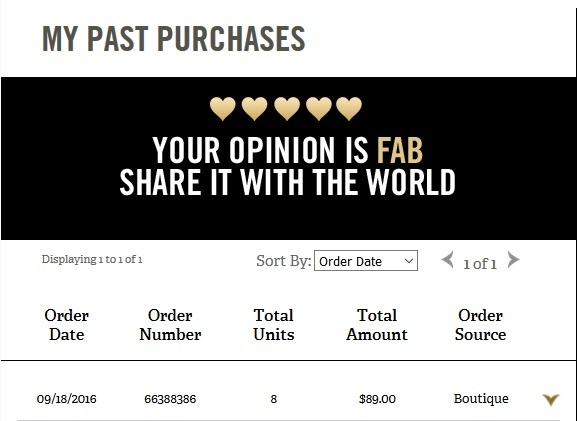 Here is a screenshot of my receipt, just so you know that I really do use Bare Minerals products. I have to be honest, when the girl (young girl) who was helping me at the Bare Minerals Boutique began talking about all of the different brushes, I thought, now this is crazy. Why can’t you just buy a $10 brush from the drug store? Let me tell you, the foundation brush that I used to apply my foundation gave full coverage, and it was seamless. I don’t think it is something that you can really describe until you try it out for yourself. I’ll never use another foundation brush again. Here is the one I have. It gives complete coverage without “looking” like you have makeup on. I don’t know how the brush is made, but I do know that whatever they did to it, they perfected it. Tip: If you are not looking for the “full coverage” effect, place the brush in your foundation and give it a twist. This will ensure that when you apply your foundation, you are getting the coverage desired. If you just want light coverage, don’t twist the brush. I mentioned before that I had never used primer before, but what I will say is that I will never again go without it. It’s like when you go to your first VIP concert, you will never want to go again unless you get VIP seating. Bare Minerals has my attention with PrimeTime primer. Period. This is the product I could probably live without. Not because it doesn’t work, it’s simply because I really don’t have anything that requires this type of make-up. If you have dark circles, or any other flaws that you find are still noticeable after you apply your foundation, you may want to give it a try. I gave it to my daughter who has mild acne (like I did), and she uses it every day. I have always loved bronzer, even before Bare Minerals. I love the “suntan” look even in the winter. They offer 3 shades of bronzer, I have the The Deep End, and I love it. I never wear blush, only bronzer, and will continue to use Bare Minerals. Update: Please read this post regarding The Deep End bronzer. I experimented with the mineral veil, and at first I applied it all over. That was wrong! 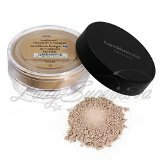 After you have applied all of your makeup, apply the Mineral Veil powder to the areas of your face that you want a little glow to. I apply it to my cheekbones, and above my eyebrows. I would not recommend applying it to your nose. It does give your face that extra “beautification factor” (if that is even a word). 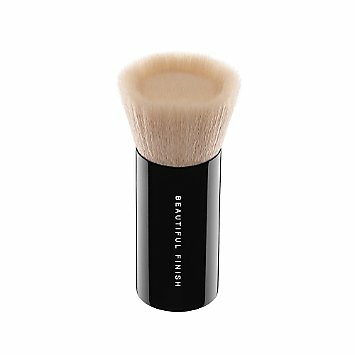 Tip: If you prefer to apply it all over, use the “leftover” product on the brush to apply to nose, chin and other areas of your face where you may not want the full glow effect. While I love a matte lip color (I usually add some gloss on top), I was not happy with the color that I received in my starter kit, as I am a neutral kind of gal. The shade is more of a pink. They offer 20 shades, so I will try another because it has a very smooth look and feel to it, and it stays on! The prices are accurate as of the time of this post, but always check Amazon to make sure that they have not changed. 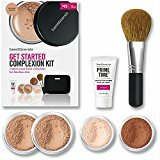 Bare Minerals also offers a Beauty Surprise Kit which we have also written about if that is something you may be interested in.